2014 March | whydocatholicsdothat.com Blog– Pray. God is waiting. Lent is the penitential season of approximately 40 days set aside by the Church in order for the faithful to prepare for the celebration of the Lord’s Passion, Death and Resurrection. During this holy season, inextricably connected to the Paschal Mystery, the Catechumens prepare for Christian initiation, and current Church members prepare for Easter by a recalling of Baptism and by works of penance, that is, prayer, fasting and almsgiving. Even in the early Church, Lent was the season for prayerful and penitential preparation for the feast of Easter. Though the obligation of penance was originally only imposed on those who had committed public sins and crimes, by medieval times all the faithful voluntarily performed acts of penance to repair for their sins. Ash Wednesday is the clarion call to “Repent and believe the gospel” (Mk 1:15). For the next forty days, the faithful willingly submit to fasting and self-denial in imitation of Our Lord’s forty-day fast in the desert. It is in these dark and still nights, these desert-times, that the soul experiences its greatest growth. There, in the inner arena, the soul battles the world, the flesh and the devil just as Our Lord battled Satan’s triple temptation in the desert. His battle was external, for Jesus could not sin; our battle is interior, but with a hope sustained by the knowledge of Christ’s Easter victory over sin and death. His victory is our renewal, our “spring” — which is the meaning of the Anglo-Saxon word, “lengten” or Lent. In this penitential season we have the opportunity to make an annual spiritual “tune-up”, a 40-day retreat with Our Lord. Have we allowed worldly cares and the “daily drama” to obscure our call to holiness? Have self-love and materialism eroded our relationship with God? 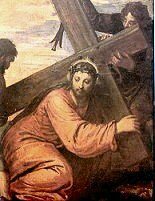 Then let us renew our efforts, and through our Lenten observance, discipline the body and master it as we “follow in the footsteps of the poor and crucified Christ” (St. Francis of Assisi).